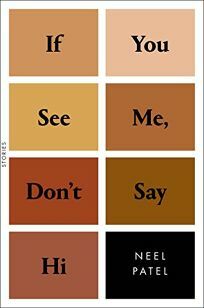 Posted by SaraC in Book Awards, Book Discussion, Book List, Book Review, Fantasy, Fiction, Genre Book Discussion, New Books, Non-Fiction, Reviews, Suspense, Thrillers, Uncategorized. Smoke & Summons by Charlie N. Holmberg. Posted by Dori in Fiction, New Books, Reviews. Put this on your list now. You need to read it! In Fredrik Backman’s book Beartown, their team lost the hockey championship to the neighboring town of Hed because they lost their key player after he raped a teen. This second story Us Against You tells the aftermath of the loss on the two towns and how easily key players can manipulate others into doing their dirty work. “At some point almost everyone makes a choice. Some of us don’t even notice it happening, most don’t get to plan it in advance, but there’s always a moment when we take one path instead of another, which has consequences for the rest of our lives. It determines the people we will become, in other people’s eyes as well as our own.” Wow—just wow!